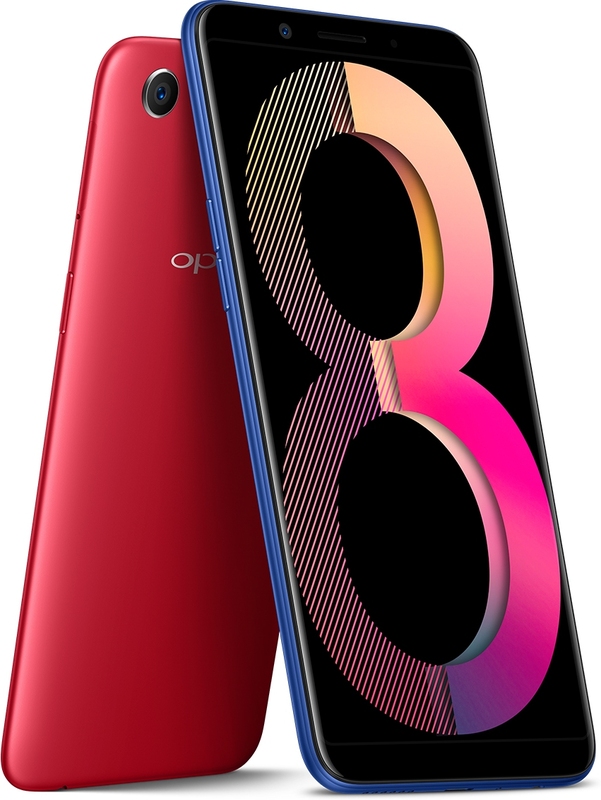 OPPO, the selfie expert and leader, has announced its latest entry-level camera phone - the OPPO A83 2018, an upgrade of the successful OPPO A83 launched in January 2018. The A83 2018 is equipped to perform faster and better with 4GB RAM and 64GB ROM, an upgrade over the A83 and comes in one new color, Blue along with Gold to satisfy young consumer needs. Equipped with a full screen display and OPPO's A.I. Beauty Recognition Technology, A83 2018 brings a more realistic and natural selfie experience to more young consumers. The 3180 mAh battery makes the A83 2018 a versatile product at a price of INR 15,990. The OPPO A83 2018 (Blue and Gold color) will be available on sale on Amazon, Flipkart and PayTM along with offline stores. OPPO A83 2018 is tailored for outstanding performance and to where it matters most for young consumers. While the upgraded RAM (4GB) ensures faster performance, the super-large operating memory allows young people to enjoy their favorite games and store more memories. Three independent card slots (Dual Nano-SIM cards with the TF slot) enable users to have 2 mobile numbers for phone calls, and also to extend the phone memory to 256GB. The new Color OS 3.2 operating system and O-share for file-sharing can transmit 6 to 7 ordinary photos in just a second (*OPPO test data, may vary with different environments). A83 2018 measures 5.7 inches which is a major improvement over past models. Whether one is looking at a picture, video or playing a game, this offers an incredibly wide visual experience. Currently, full screen configuration is only deployed in flagship models for most brands. With the full screen of A83 2018, anyone can now experience just how awesome this latest technology is. To complement the display effects of the full screen, the A83 2018 resolution is as high as 1440 X 720, making every photo clearer and brighter for an improved photo experience. A83 2018 is also equipped with face unlock. One can just align the phone with their face to unlock the phone quickly. And no longer has one to worry about aligning their finger or wet hands anymore. All it takes to unlock the phone is to look at it, making it easy for the elderly and children too. This is the convenience of advanced technology that OPPO brings to all consumers. The look of the A83 2018 is inspired by UFOs (UFO Curve Design Philosophy). The streamlined design of the flying saucer is incorporated for a more solid edge, with subtle yet sturdy arcs that make the phone look more dynamic. Its homogeneous look, along with its pearlescent and sparkling finish is a perfect blend of technology and fashion. This plus the full screen configuration of the mobile phone, more impressive back cover design and the new colors makes A83 2018 an extremely cool and elegant device with a premium feel that appeals to the sense of aesthetics of young people. 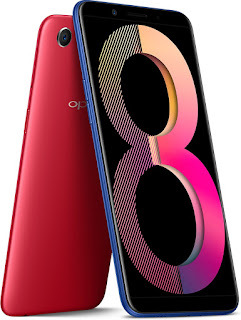 The F-series and A-series products from OPPO, particularly the integrated beauty function, have improved to be especially popular among the young and trendy. By capturing hearts, OPPO has become the 'Selfie Expert' for India's young consumers. As the Selfie Expert series gained popularity among the consumers, OPPO also uncovered a major customer pain point: 'photos that are not that realistic'. Many people but especially young people, have this desire to express their own personalities in their photos. OPPO A83 2018 is the new generation selfie expert. It comes with an 8 MP Front Lens + 13 MP Rear Lens, and uses the A.I. Beauty Recognition Technology that effortlessly helps one look their best in photos. Everybody wants the world to appreciate them as unique and Artificial intelligence (A.I.) is the technology that will satisfy this desire. It can intelligently recognize and bring out one's best features and yet retain that distinctive charm that defines every individual. As it preserves more contour details, adding that little extra touch that makes selfies incredibly stunning. This solution is a perfect fit for anyone who wants to be unique, independent and trendy. OPPO's A.I. Beauty Recognition Technology employs a cloud database from premium suppliers that have sufficient power to support diversified facial recognition in smart terminals. The AI captures more than 200 facial points when a photo is taken.